Really comfortable journey in this seat. Fantastic quite aircraft this A380 800 is. Only drawback is closeness to the galley area with the obvious noise problem from crew going about there business, serving up food etc, (slamming of storage cabinets and conversations) not to intrusive but it can wake you if your a light sleeper. And be aware you are very close to where the little ones are seated, so a baby crying for a bit is common but not a problem for the whole journey. Our flight Q10 LHR MEL stop off DXB for some reason was quite cold, to cold really but a blanket is provided. (conversely our return flight was the exact opposite , alas not quick enough to snap up this seat) Leg room is the whole point of this seat and boy that is what you get, snap this seat up quick, same for the seat 80K. We had seats 15A&15B in business class.Not a good position as you are in full view of the galley and the noise and commotion coming from there is a lot more than bothersome. almost constant and seat 15B gets knocked frequently by crew when you are trying to sleep. We had 12A&B on the return journey and there is no comparison particularly with noise level and legroom is longer than row 15 - it was similar to being upstairs in the 747 more like a separate cabin as the first three rows are divided by the galley and toilets. Having said that the seats are excellent and the standard of service is very professional and friendly as you would expect from Qantas. The staff and meals were perfect. I had a very restful journey in my business seat, it reclined to flat quite easily. However, I did find access to control handset and headphone point quite difficult to access. This was partly because the seat was more narrow than those in the 330 which I had travelled in earlier, meaning I had to lie on my back all the time. The other difficulty was getting from my seat to the aisle when the person in 22B was asleep. There was no space and I had to step over their bed which was quite a stretch. We paid extra to choose seats. What a waste of money. We should have taken pot luck like everyone else. We were crammed in like sardines. Don’t waste your money choosing your seat as there’s no point. I don’t know why they make you pay for seat choice in economy. Good seat in Premium Economy on the top deck. Lots of leg room and storage space. 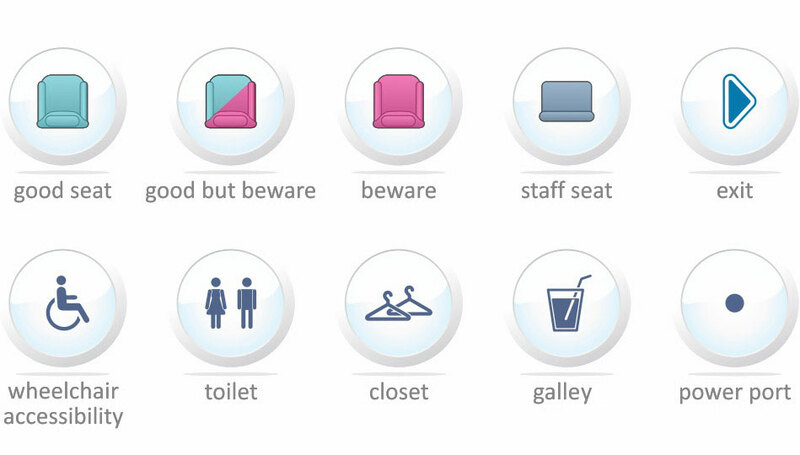 There's a space next to the seat which can hold a lot of belongings: handbag, travel pillow, iPad etc. Very good service, tasty food. The seat in front of me was reclined and caused no problem whatsoever. Great flight. But the legroom was sort of tight. Viewing takeoff and landing from tailcam is quite a lot better than from the window. Great movies and shows, the food was great. The Self Serve snack bar was a perfect pit stop for a little snack. Very nice crew. An excellent plane for an extra long flight (22 hrs.). A quiet and a rock solid flight. I have made this flight a couple of time and allways there has been an excellent crew. 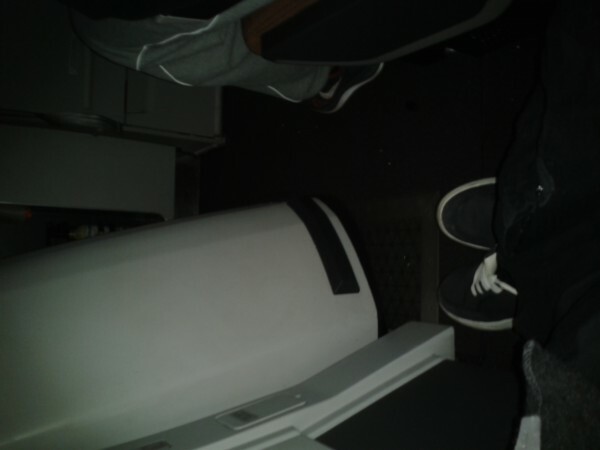 Extra leg room due to bulkhead. No seats in front reclining. A bit of light coming from the galley, but not too distracting.